IM Aman Hambleton came to Oriole today! He gave a 30 board Simultaneous Exhibition. Aman won all 30 boards in 2 hours 15 minutes. Everyone went home with this. 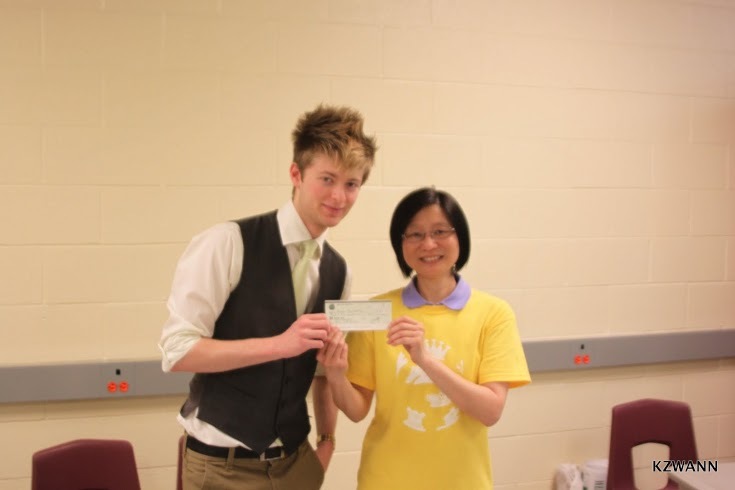 We were happy to present a cheque of $800 to Aman at the end of the Simul, to help cover his tournament expenses coming up when he goes to Bolivia for the Americas Continental Championship. Thank you for all those who support Aman and this event! Congrats to the Seneca Hill Public School Team (Harry, Daniel, Kyle, Ray and Bill) which participated in the Toronto Secondary School Chess League team finals on April 19. They played in the junior section, that is for grade 10 and under. The team came third after UTS and Glennforest. 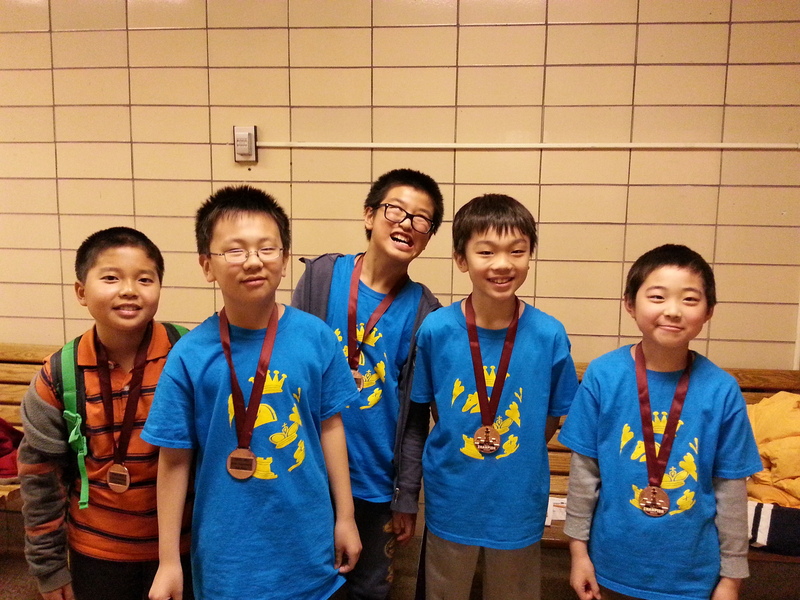 They won 5 medals and $160 Ontario High School Chess Championship entry fee. IM Aman Hambleton is coming to Oriole again. 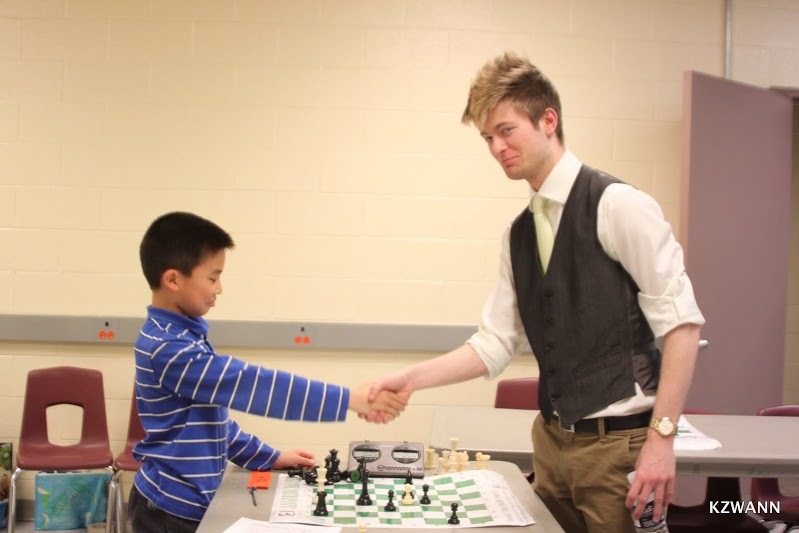 Here is a link to the Simul given by Aman at Oriole last June. 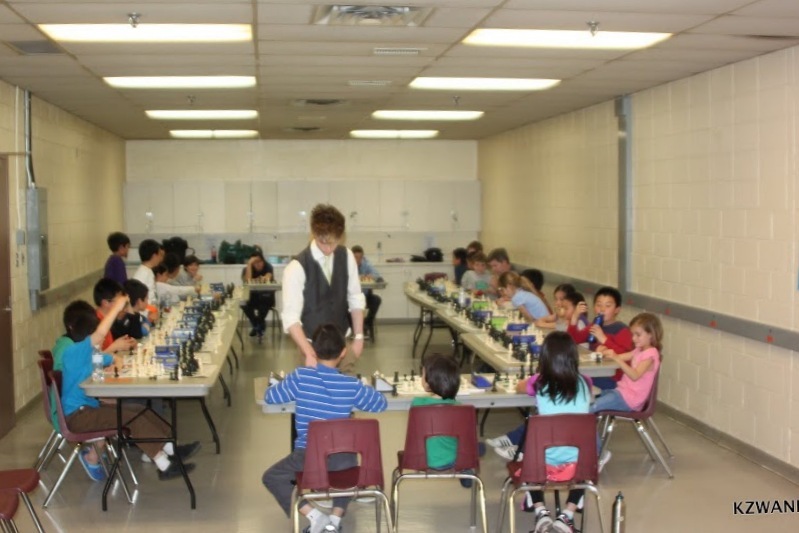 Aman’s performance then became the focus of the whole Canadian chess community. Within the past few months, he has a dramatic improvement. He was awarded the IM (International Master) title and he has won 5 IM and 1 GM (Grand Master) norms. He has a rocketing jump FIDE rating from 2226 to 2472.